Leonardtown, Lexington Park, Charlotte Hall, California, Mechanicsville, Wildewood, Hughesville, Great Mills, Hollywood, Barstow, Broomes Island, Chesapeake Beach, Dowell, Dunkirk, Huntingtown, Lusby MD, North Beach, Owings, Port Republic MD, Prince Frederick, St. Leonard, Solomons, Sunderland, Waldorf, La Plata, White Plains, Hughesville, Indian Head, and Bryans Road. ACQ Treatment safe for playgrounds, daycares, and home use. 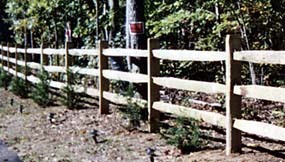 Different wood fence styles available from our privacy-picket or some of our split-rail fences. 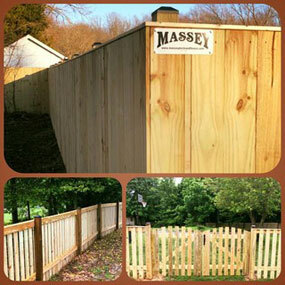 To get a FREE estimate on your next vinyl fence, Click Here.